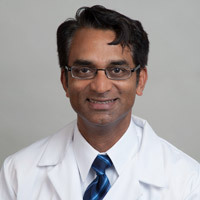 Dr. Raman is an expert in Abdominal and Pelvic imaging (CT, MRI, US and X-Ray) and interventional radiology (image guided procedures), especially in the area of tumor ablation and Fibroid Treatment. He is director of the Abdominal Imaging Fellowship at UCLA, and co-director of the Fibroid Treatment Program at UCLA. Virtual colonoscopy (also known as CT colonography) is a procedure that is done to look for small polyps or other growths inside your colon. Polyps that grow on the inside lining of the colon sometimes turn into colon cancers. Young JR, Coy H, Kim HJ, Douek M, Lo P, Pantuck AJ, Raman SS. Performance of Relative Enhancement on Multiphasic MRI for the Differentiation of Clear Cell Renal Cell Carcinoma (RCC) From Papillary and Chromophobe RCC Subtypes and Oncocytoma. AJR Am J Roentgenol. 2017 Apr;208(4):812-819. doi: 10.2214/AJR.16.17152. Epub 2017 Jan 26.